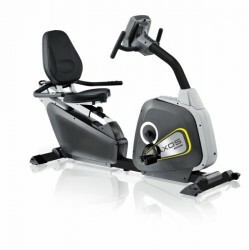 The Kettler recumbent upright bike Axos Cycle R provides a back-relieving training with its comfortable seat. The sturdy frame construction can be loaded up to 130 kg and makes the Kettler recumbent upright bike Axos Cycle R a durable training partner. Thanks to handles and a deep step-through, even persons with limited range of motion can comfortably exercise with the Kettler recumbent upright bike Axos Cycle R.
The Kettler recumbent upright bike Axos Cycle R offers an excellent equipment and great comfort. The seat is horizontally and in height adjustable - to get your preferred training position on the recumbent bike. The Kettler recumbent upright bike Axos Cycle R offers a joint-gentle magnetic brake system and its resistance is adjustable in 16 levels. The Kettler recumbent upright bike Axos Cycle R is equipped with eight programmes for a varied workout, one of it is pulse controlled. 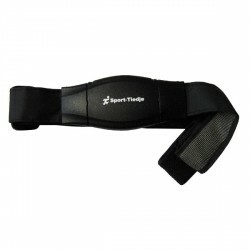 The Kettler recumbent upright bike Axos Cycle R has integrated hand pulse sensors for measuring heart rate; a chest strap is separately available as accessory. Thanks to a user memory, up to four persons can save and call their data using the recumbent upright bike Axos R.
Get full control of your training with the Kettler recumbent upright bike Axos Cycle R.
Thanks to the Push'n'Turn technology, operating the Axiom Cycle R is quite easy. The big LCD display shows you data like distance, pulse, calory consumption while exercising with the Kettler recumbent upright bike Axos Cycle R. In addition, the Kettler recumbent upright bike Axos Cycle R informs you when you reach your upper pulse limit with a visual and acoustic warning signal. The high-quality equipment of the Axos Cycle R is completed by centre of gravity strap pedals and practical transport wheels. 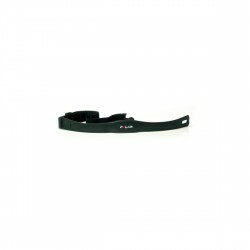 Kettler Cardio Earclip In stock! Kettler recumbent upright bike Axos Cycle R add to comparison list.